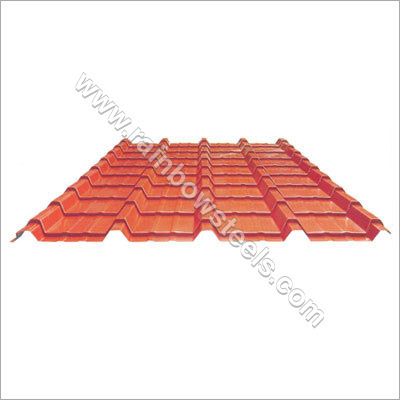 We are one of the leading manufacturers, suppliers and exporters of Hi-Rib Tile Sheet that are of the highest quality. Being a highly quality conscious firm, we keep no stone unturned when it comes to the quality of our products. As a result, our offered Tile Sheet are known for their overall width, thickness, lightweight, etc. Further, we make sure that our products are dust-proof and fire proof as well. In this huge industry, our high quality Steel Tile Sheet are highly preferred by a huge base of reputed clients for the several qualities that it possesses.